Every girls weakness is when they see beauty products around them and I don’t know what’s with these products but they seemed to have some magic that they right away capture the hearts of women. I have been wanting to share a haul to you guys but I am not sure if you will love it or hate it. But I decided to share it anyway and hopefully you will like it and please share your thoughts..comments or feedback about the products. First stop is the Hard Candy Palette in RAINING MEN (#891) and this is the first beauty product from this brand that I purchased ever. The shade and the packaging caught my eyes and hopefully I will enjoy this Eyeshadow. Hard Candy Top Ten Trendsetter Palette Eyeshadow is an eyeshadow collection of fashion-forward colors in a chic, fabric mirror compact. The collection features an extraordinary range of shades, with matte, shimmer, glitter, and metallic finishes. 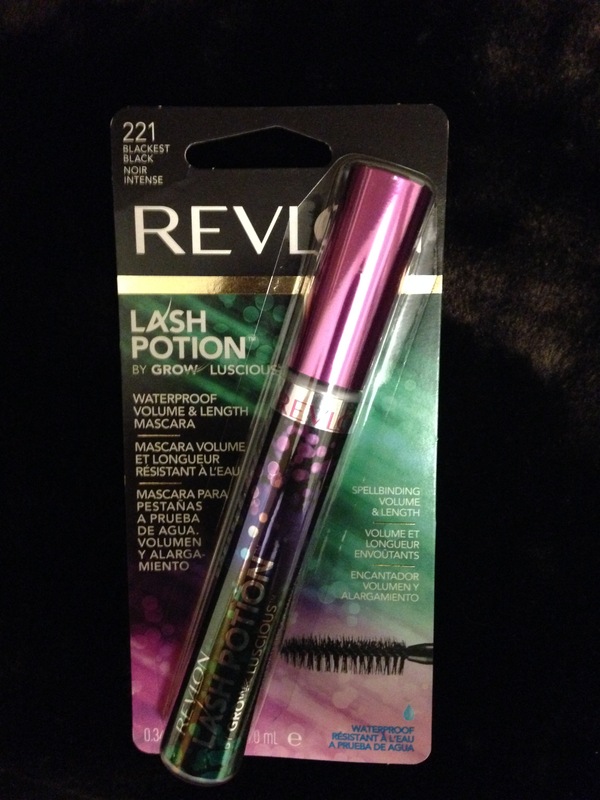 Revlon Lash Potion by Grow Luscious Volume & Length Mascara‘s formula with strengthening proteins, amino acids and essential vitamins revitalizes lashes. The illusionist wand drenches lashes for dramatic volume and combs through lashes for clump-free length. Warnings: To Safeguard Product Purity: Always treat applicator with the same sanitary care you would your eyes. Reserve it for your personal use. Cap tightly after use. Do not dilute product with any additive. Do not use any eye cosmetic if your eye is injured, irritated or infected. Directions: Use within 6 months of opening. 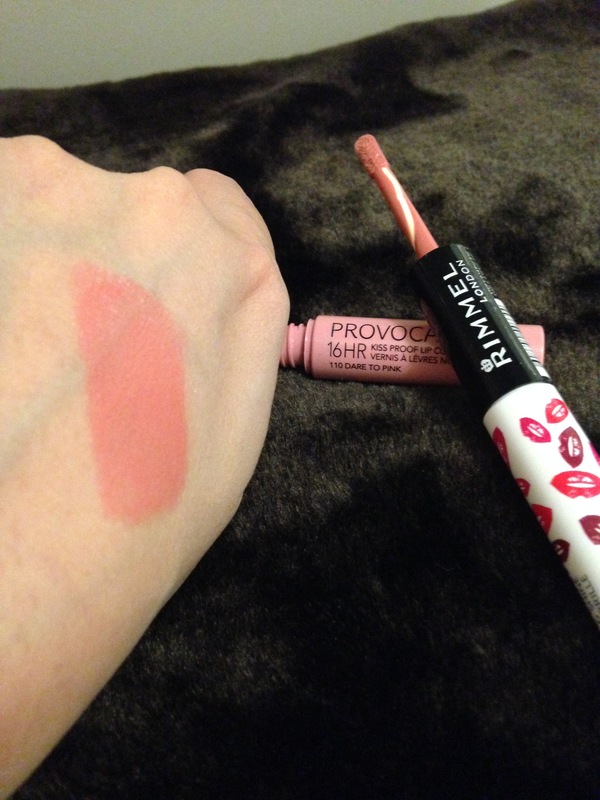 Even before the hype of Rimmel products, I have been using them since then. I love their foundation and I also like the scent. I know some people doesn’t like face products with scents but I love it. 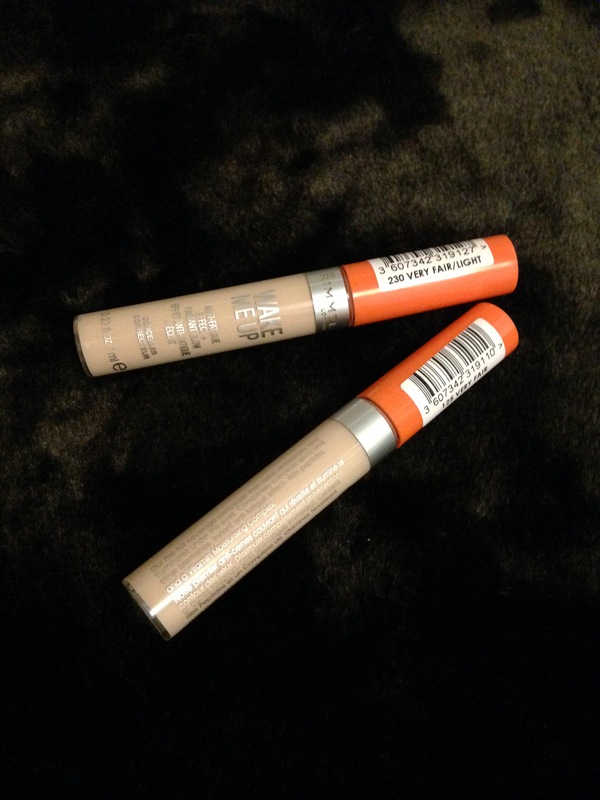 Aside from their foundation I also wanted to try the Rimmel Wake Me up Concealer even if I don’t use concealer that much but I heard this is a great product, so I hope this won’t disappoint me. I bought shades Very Fair/Light (#230) and Very Fair (#125) to see what shade fits my skin. Rimmel Wake Me Up Concealer is the first full-coverage concealer from Rimmel that visibly reawakens and illuminates under the eyes. It completely conceals spots and other blemishes. Wake up tired-looking eyes and resume your round-the-clock London lifestyle! Moving on to lip products. 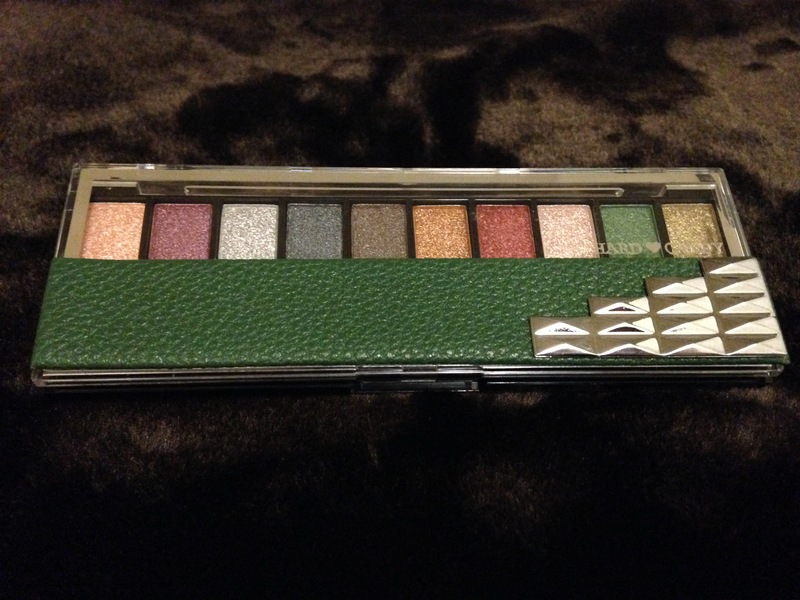 Another item from Rimmel London (surprise..surprise). This lip product only cost $6.69. 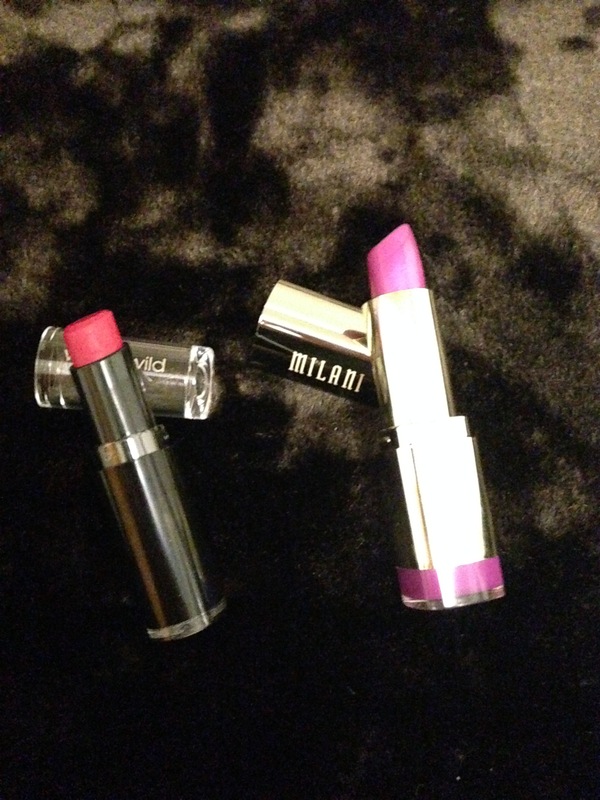 Milani is one of the best drugstore make-up that I also love. The pigmentation, consistency and their shade range are awesome.. also this lipstick smells good too. Lastly, the what they call “underdog” beauty products. But hey! 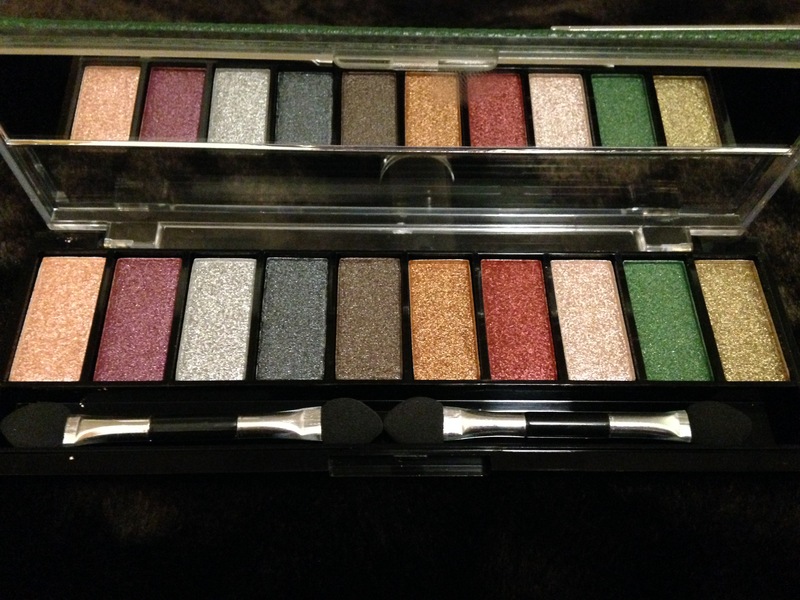 this brand is also great with great variety of shades and the price is awesome and affordable too. This 4-hour, long wearing lip color leaves a semi-matte, creme finish in one stroke- Glides on easily with rich, velvety color that doesnt cake, feather, or bleed- Made with hydrating skin-care ingredients Hyaluronic Microspheres provide extraordinary adhesion to lips, an exclusive polymer complex offers cushion-like feel and texture, and natural marine plant extracts Coenzyme Q10 and Vitamins A E help smooth lips. Yes, please do a review! I’ve seen a few posts about them and I haven’t heard anything negative so I hope it’ll be the same for you! ^^ Ooh lovely! I like Rimmel because it’s actually affordable where I live hehe. I have tried the last potion mascara befote, but I am in LOVE with Miss Manga collection mascara from L’Oreal. Makes my lashes so long!